A lightweight day pack that is incredibly versatile. 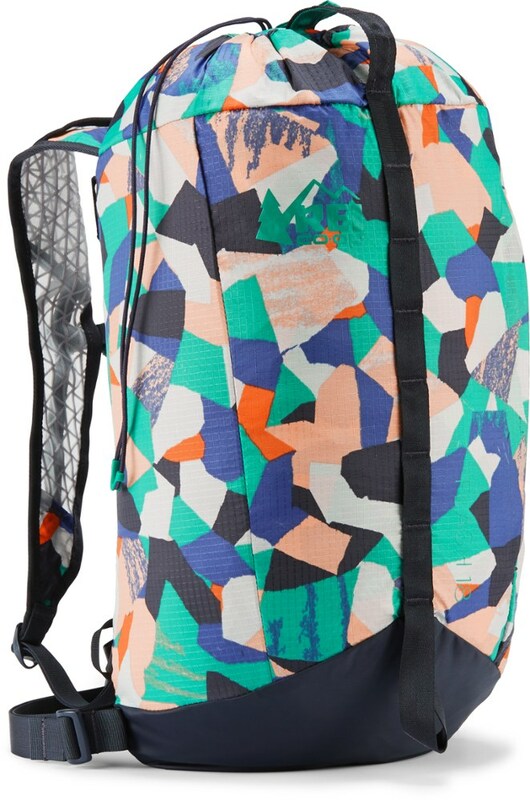 A lightweight day pack that is incredibly versatile. Great if you want a single pack for many purposes. It's a fantastic, versatile day pack. 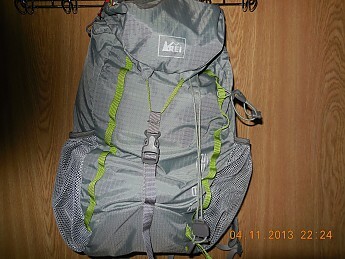 I'm using it for hiking, day trips to city, hauling around stuff for me and my kid, biking, errands, and travel. It's really light. While it doesn't have a ton of frills, this means that the pack doesn't weigh as much as the stuff you put in it (a problem with many day packs). You can also adapt it to your needs. For example, I bought a cheap cell phone pouch to attach to the strap so that my iPhone is more accessible. Some people might not like that it's top loading, but this is a great feature if you're using it in a city on public transit, as it can prevent theft. I highly recommend this pack if you're looking for something that's good quality, versatile, and lightweight. 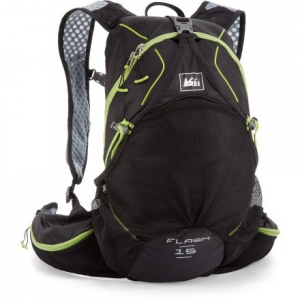 It's great for travel, day hikes, city trips, trail running, bike rides...just about anything! I really like how the pack is not bulky and obtrusive. It's easy to move around in a crowd wearing this. Welcome to Trailspace, Andrea! Thanks for sharing your first review with us. Got any pictures of your Flash you'd be willing to show others in your review? I have an older version of the 18. Definitely a well-made pack. 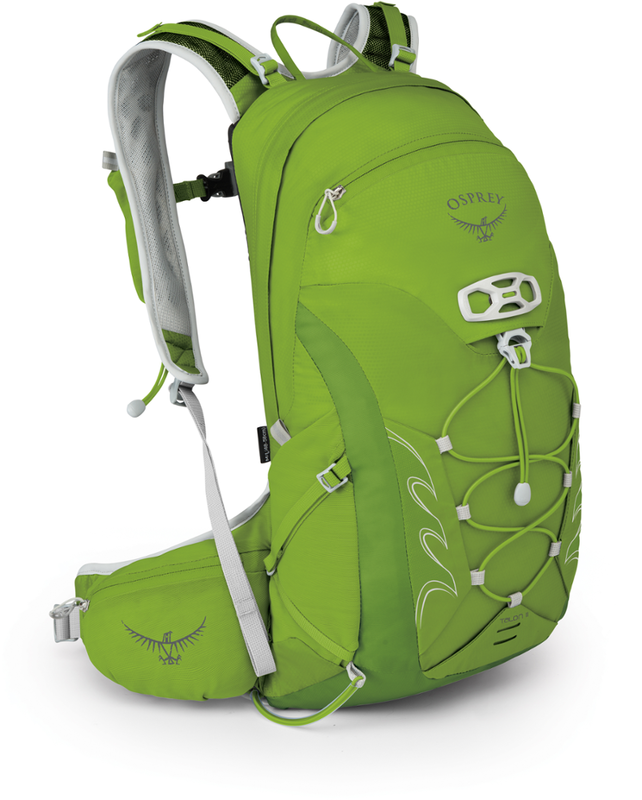 If you want a lightweight quality day pack with plenty of room for a day hike, then this is your pack. I have had this pack for at least three years now. It's typically my go-to pack for day hikes. I am a bit of an over-preparer on a day hike and I always have enough room. Typically I carry a fleece, rain jacket, first aid kit, two 32 oz. water bottles, and a survival kit, baby wipes, sunscreen, etc. not to mention my wallet, keys and phone and I have plenty of room for everything. If there was anything I could change about the pack it's that I wish that the back panel was more solid and supportive, but given the fact it's an ultra light day pack it's not a big deal. Overall this has been one of my favorite packs. 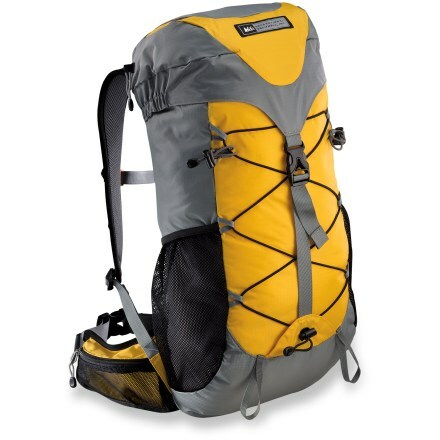 Great lightweight pack for the money. For the money, this pack is awesome! It's the perfect size for a daypack and I've used it while hiking, traveling and everyday. 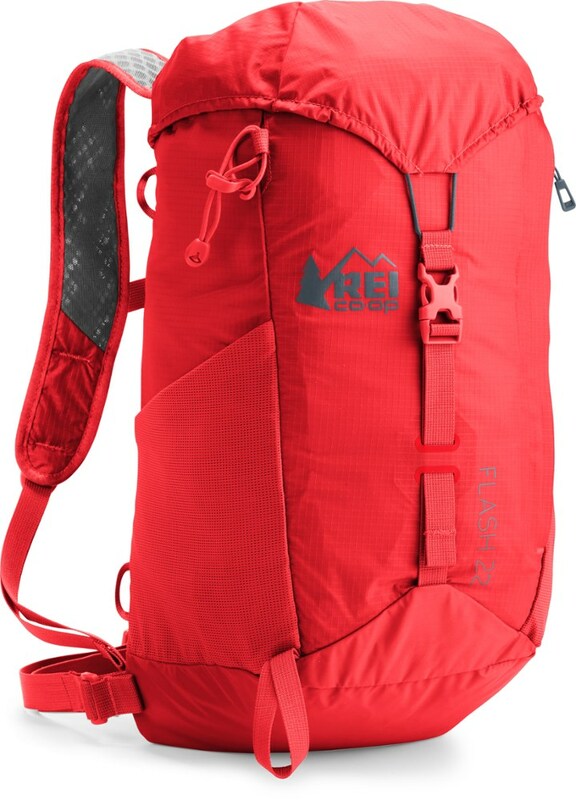 It's super light and has a ton of features like nice expandable water-bottle pockets, loops for lashing things on, emergency whistle, interior and exterior pockets and chest and waist straps. Things I don't like about it are that there are no pockets on the waist-strap, the chest straps hit a little high, and as a 5'3", smaller-chested woman, I'm surprised I have this issue. Also, because it's basically just "dump" bag with a lid, sometimes it's a little hard to find things because they just migrate to the bottom. It does have a nice pocket on the exterior of the lid and a small pocket on the interior of the pack and a interior "sleeve" for a hydration bladder which is not included. All in all, I love this pack and would totally buy it all over again! This pack is incredibly lightweight and perfect for day hiking as it will hold layers of clothing peeled off from your hike, to lunch and your sunglasses and still have room! It has an interior bladder pouch and I best like the super deep water bottle pockets on both sides of the pack. 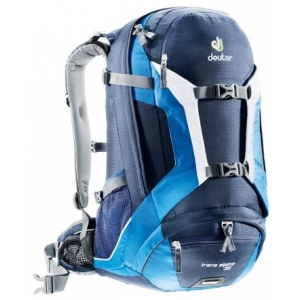 Great pack, must have for day hikers and if you want a easy, lightweight pack to travel with. Although I won this pack at the 2013 Warren Miller movie tour, now that I have used this pack, I would definitely pay money for it! I am a backpack enthusiast and have many packs already. I find myself using this pack most often. All the "Cons" that I wrote about with regards to this pack, would all come with a price to pay…literally. I think the most important features that people tend to look at when purchasing a pack are: price, function, and weight in that order or importance (depending on what your need is). This pack hits all of those points with an A+ grade in my opinion. Keep in mind that when putting weight in a pack the suspension system becomes very important. That said, this pack is really meant for throwing a fleece, or under layer of clothing, your lunch, sunglasses, keys and a wallet. You could also get a 100 liter bladder in the separate pocket designed for this purpose. Great "bang for your buck"! Lightweight day pack, with side water bottle holders. Had an older Flash 18 that was great for day use but I missed the water bottle side pockets that I have on my regular pack and wanted a little more room. So I picked this up. 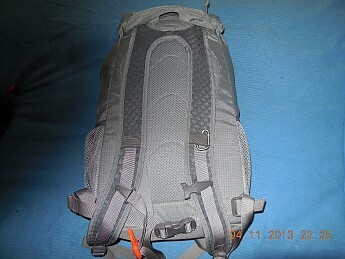 This pack has light padding in the shoulder straps (perforated to breath better) a top zipper pouch with a key tether. It also has inside back panel sleave that holds a removable sit pad and keeps items from poking you in the back, a inside mesh zippered pocket and a series of daisy chain loops sewn on the outside. 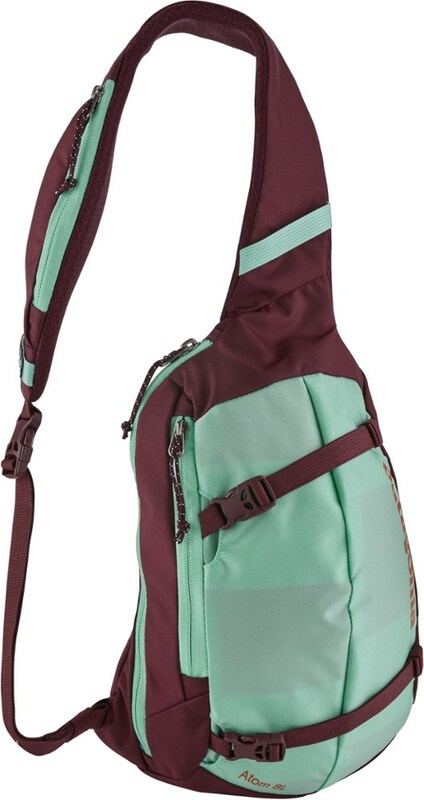 It is hydration compatable, but I prefer water bottles, and it has the two mesh outside side pockets for this, one buckle has a emergency whistle built in to it.